BH Easy Motion electric bicycles at Electric Bike Attack in Santa Monica and Online. Easy Motion is part of the spanish BH group, leader of high end bicycles in Europe. Since 2008 BH successfully operates a division of electric bicycles under the Easy Motion trademark winning several awards for Best Electric Bike at Eurobike, the international leading bike convention in Europe.  Longest warranty and service, excellent quality and one of the biggest varieties of electric bikes - makes Easy Motion one of the favorite electric bike brands at Bike Attack Electric+. Easy Motion electric bikes look like regular bikes and not like ebikes. The Easy Motion Evo Eco and the Easy Motion AtomX Lynx are one of the most wanted Easy Motion electric bicycles at Bike Attack Electric Santa Monica in the Los Angeles area and online shop. Emotion carries a wide range of ebikes: Full suspension mountain bikes, hardtail mountain bikes, road bikes, city bikes, commuter bikes, bikes for leisure and comfort rides or bikes for the racer. They also carry a wide variety of electric bikes for ladies. In March 2015 an additional new ebike line with motors made by Bosch will be launched. Bosch has an over 100 year long tradition of technical innovation and best warranty. Bosch is the leader in it's field and provides technical advanced products: one of the ultimate electric bike lines in the industry. Bike Attack Electric in Santa Monica loves Easy Motion electric bikes because of their wide variety of electric bike styles and different motor systems, from Brose, to Yamaha and their own Evo motor system. Best warranty in the industry: up to 5 years!